Last week, Kentucky Governor Matt Bevin made headlines when he said that he exposed his nine children, all of whom are unvaccinated, to neighbours with chicken pox in order to help them gain immunity to the disease. These so-called "chicken pox parties" were far more common before the chicken pox vaccine became widely available in 1995. In recent years, however, the gatherings, where healthy children are exposed to a child with the incredibly infectious disease, have made a comeback. Controversy around vaccinations began in 1998 after a British paper alleged that the MMR vaccine was linked to autism. The study has since been withdrawn, though many vaccine deniers still quote the findings. Andrew Wakefield, who published the paper, was allegedly compensated by a law firm intending to sue manufacturers of the MMR vaccine. He lost his medical license in 2010. A recent study of 657,461 children born in Denmark found no link between the vaccine and autism. While pox parties take place under the assumption that most people who contract the disease once will never contract it again, paediatrician Dr. Natasha Burgert is now warning that the idea is a dangerous "gamble." Burgert told INSIDER that while chickenpox will only result in itchy sores for most children, it can be life-threatening for others. "It's impossible to predict," she said. "Some kids will just get a few [chicken pox], some will die. You just don't know, so we vaccinate everyone [we can]." "[It is] incorrect that getting the natural disease is going to make your immunity stronger so you don't need a vaccine, which is a much safer option," Burgert told INSIDER. "People don't realize that the reason we made vaccines is because they can't kill kids." PEOPLE’s Health Squad Pediatrician, Dr. Elizabeth Murraythis, seems to agree with Burgert's assessment. The Centers for Disease Control and Prevention (CDC) states on their website that the best way to avoid contracting chicken pox is by receiving the vaccine. "There is no way to tell in advance how severe your child's symptoms will be. So it is not worth taking the chance of exposing your child to someone with the disease." The CDC goes on to explain that mild forms of chicken pox lead to headaches, fevers, and other annoying symptoms. Extreme cases can easily lead to bacterial infection, pnuemonia, brain inflammation, and sepsis, all of which can result in death. They estimate that the chicken pox vaccine prevents 100 deaths and 9,000 hospitalizations every year in the United States. 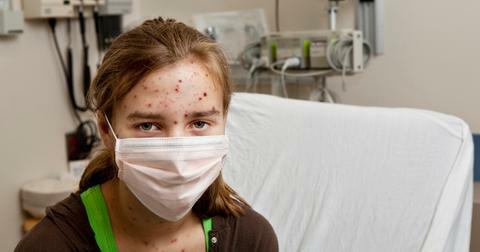 Deaths from chicken pox declined 93% in 2012, versus the pre-vaccine period.